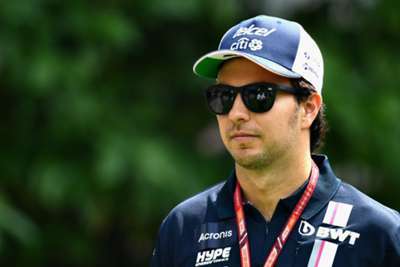 Racing Point Force India have tied Sergio Perez to a contract extension to keep him on the team for the 2019 Formula One season amid uncertainty surrounding team-mate Esteban Ocon. The Mexican joined Force India ahead of the 2014 campaign and will now prolong his stay into a sixth year, remaining with the team despite administration, a recent takeover and major personnel changes elsewhere on the grid. Ocon, who has driven alongside Perez for the last two seasons, is reportedly set to be replaced by Lance Stroll, whose father was behind the Force India takeover. Perez is seventh in the F1 standings, having enjoyed his best result of the year in Azerbaijan in April when he finished third. "I am very happy to finally announce my future and I'm really motivated for 2019," he said. "Force India has been my home since 2014 and has allowed me to grow as a driver and show my skills on track. BREAKING NEWS: @SChecoPerez confirmed for 2019 with @ForceIndiaF1! Racing Point Force India is delighted to announce that Sergio Perez has agreed an extension to his contract and will race for the team in 2019. "We have achieved so much success in the last five seasons, but I think the best is yet to come. "The new investment the team is enjoying fills me with confidence and I am really excited about the future."